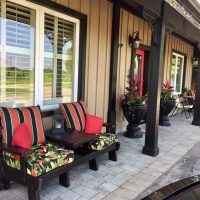 A Nature’s Escape that celebrates family time and experience the small-town luxury and charm of Paris, Ontario! 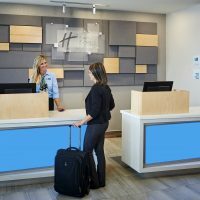 Stay at our little hotel, offering family-friendly rooms that make this one-night getaway perfect. Check-in, relax on day one, and then dine at The Arlington Hotel’s restaurant, Edits. We are serving up a delicious family-style dinner, great for making memories over a Chef-inspired special menu. 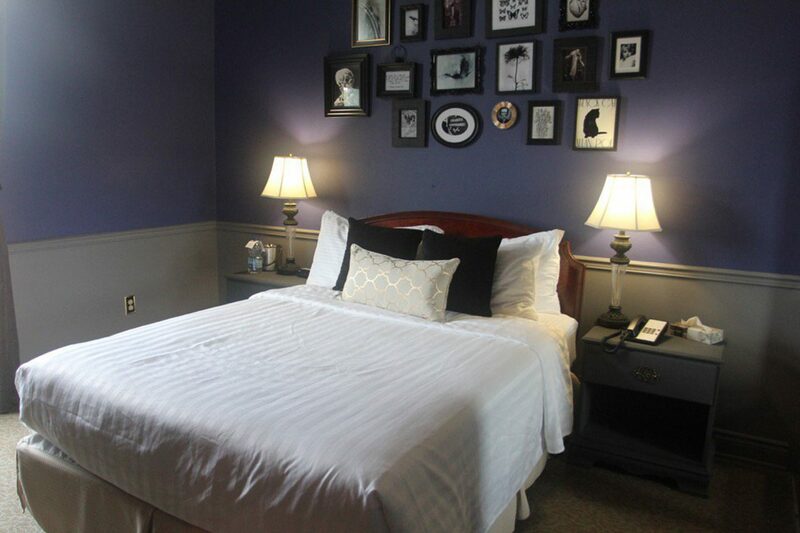 Retire to your spacious room, after dinner, or take an evening stroll in beautiful and historic downtown Paris. 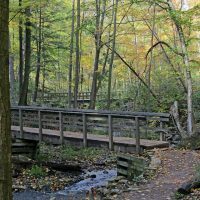 Awake and gear up for your hiking experience along the Nith River. Before joining your expert guide, head down to the hotel restaurant for your robust and hearty breakfast. The hotel will have prepared your sack lunch to take with you. 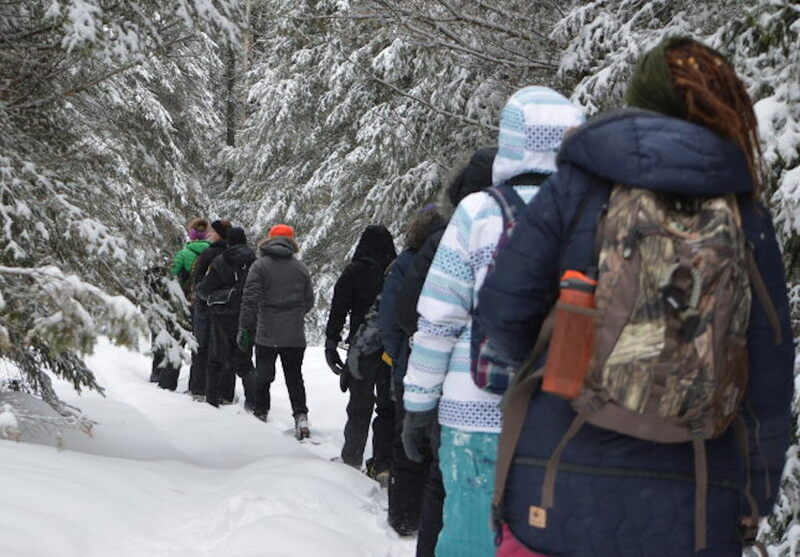 Across the street, meet at Grand Experiences Outdoor Adventure Company, and gather to begin your winter forest discovery. Dress warm and enjoy a real outdoor adventure. 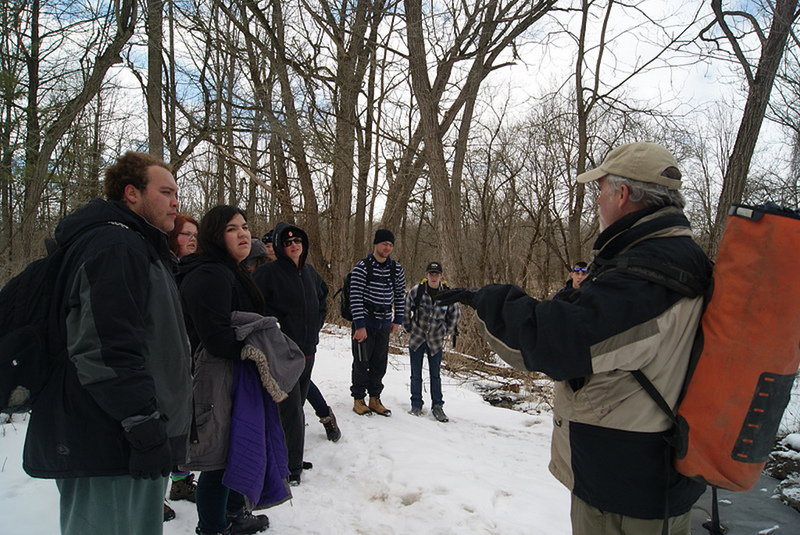 Learn about wildlife exploration and survival skills, as you navigate through the forest, not to get lost! Interpret animal tracks, explore the semi-wilderness landscape, experience building a lean-to shelter, plus build a campfire, like a pro! One Night Stay in one of our family-friendly standard rooms (two double beds or roll-away cots – subject to availability). Room for a maximum of 4 guests. Family Day Weekend 2019, Feb 15 through Feb 18. Our Standard Family rooms are complete with two double beds. Space is limited, however we can offer Standard rooms with one double bed and roll-away cots, as an alternative. 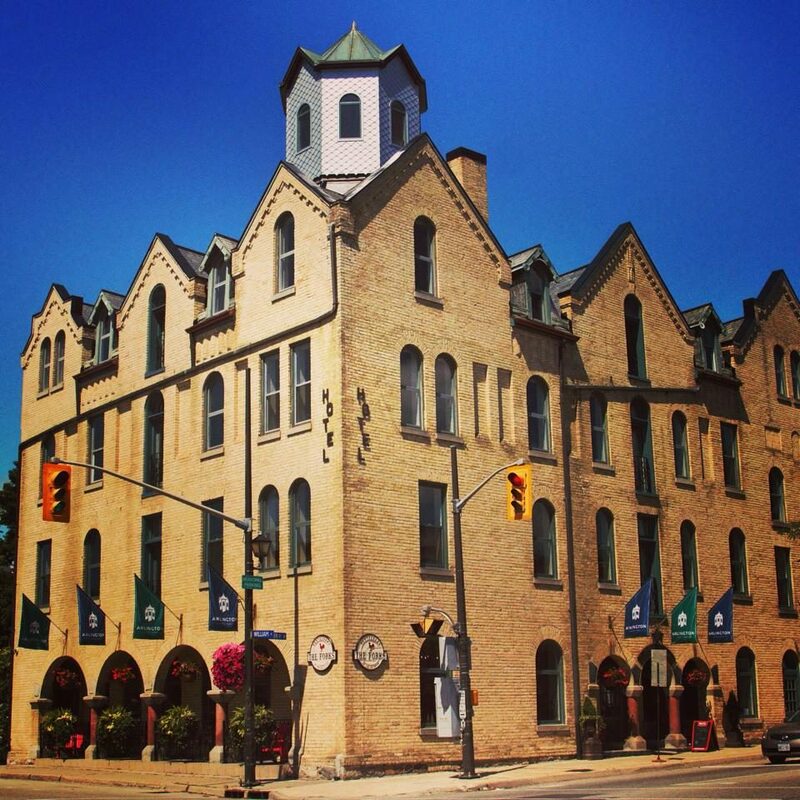 We feature contemporary amenities, playful quirks and all the character and charm you expect from a hotel that’s older than Canada! Set in the centre of downtown Paris, the location is perfect to venue along Grand River Avenue for small-town shopping and dining, that is unique to Paris. Come early in the day to enjoy the chance to discover delicious foodie choices and quaint shops. The hotel’s dining room, edit. offers culinary affection, Executive Chef, Matt Kershaw, a flavourful and decadent cuisine that will excite your taste buds. Established in 1997, Grand Experiences provides the area’s only full-service Outdoor Adventure Outfitter and is conveniently located in downtown Paris. Dress in layers, its warmer in the forest than you might imagine, nylon jacket, fleece or wool sweater, hat, comfortable hiking footwear, landyard for eyeglasses, waling stick or trekking pole(s) are not mandatory, but useful. 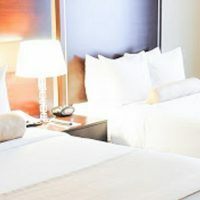 * Reservations are subject to availability as space is limited for Family-Friendly rooms and cots at The Arlington Hotel. Package is booked in conjunction with both Grand Experiences Outdoor Adventure Company and The Arlington Hotel. This special rate is only applicable as a package.